I hope everyone enjoyed a happy holiday season, and is ready for a great new year. It was exciting to be home for Christmas Day, with it falling before a road trip this season, instead of during one as it often does. It was a blessing to be able to spend that time with my family. Robyn and the girls are doing great. Bernadette was a little more aware of what was going on this year. I still don’t think she understood the whole gifts thing or anything like that, but she had a fun time opening up the presents, and tearing through the wrapping paper, and all that. Charlotte is still so young, but she’s getting bigger and bigger and has been rolling over. Before we know it, she’s going to be standing up and walking around. It’s always difficult during the season to spend much time with the family because I’m gone a lot, but right before the holidays we had a nice long homestand, and that was just awesome. I got to do what I love—play basketball in front of the home crowd—and then after the game, I get a chance to go home and spend time with my family. You can’t really beat that. We just finished one of our longest road trips of the season and that’s a different kind of good because it allowed us to bond and come together a little bit more as a group. We saw that during our trip in November, and the same thing happened on this trip. Those experiences all serve to make us a stronger team. We’ve already dealt with so many injuries this year, and it’s been rare to have all five of our starters out there at the same time. The fact that we’ve been able to succeed in spite of that speaks to the depth that we have on the team. It speaks to the coaching staff, and the work that they’ve put in every game to get us ready to play, to put us in positions to be successful. It also it speaks to the summer workouts that guys had just making sure, to a man, that we were getting better in the offseason and each working on our individual game. All those things contribute to everyone on our bench being ready to step up and be successful. It’s a long NBA season, and guys are going to go down at some point. You don’t usually know when or how many guys you’ll lose, or even for how long. But you know it happens. So guys have to be ready to play and we have been. It’s a confidence booster as well. Because we know we haven’t really been at full strength yet and we’re still able to play well, win games and beat good teams. That’s definitely in the back of all of our minds, that we still have guys that aren’t fully healthy yet. Obviously, I’ve dealt with some injury issues of my own this year. I’m happy the finger injury I suffered before this season didn’t keep me down for too long because I was anxious to get out there with the team. I was able to avoid surgery and be out there on the court for the long haul of the season. That’s the most important thing. I’m still playing through and working through it, but I wanted to make sure that when I came back, I wasn’t thinking about it, nursing it or playing any differently because of it. I’m really proud of the start I’ve had to this season. I put in a lot of hard work and a lot of preparation went into playing at this level. I’ve written about it before, but just the amount of work that I put in, to have the season that I’m having, it’s great to see it pay off. I’ve spent countless hours in the gym, as well as studying and film work—to see what I did well, what I didn’t do well, and trying to improve on it. It’s constant evolution. As a team, I think we’re trending in the right direction. We are playing really well on both ends of the floor, and we’re focused going into each and every single game. I’m excited to have all our guys back now and get our full team in rhythm. It will be fun to see where we can go with our full roster. But you’re already starting to see us use the experiences we’ve had in the past and the struggles we’ve gone through, and learn from some of those games that we lost the last couple of years. That’s something you can’t teach. It just has to happen. Guys are getting older, and we’re understanding and figuring out ways to win. 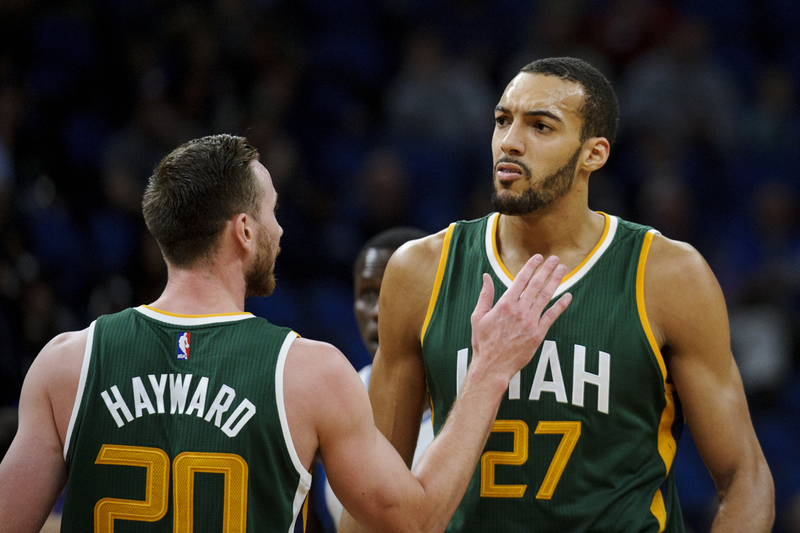 Two guys I’ve really seen grow a lot this year are Rudy Gobert and Dante Exum. Rudy deserves all the credit in the world for his defense, and it’s been really phenomenal and so beneficial to us. But he’s become a more complete player this year than he had been before. He has really been playing on another level offensively, as far as being a threat when he rolls to the rim. He’s so long and so big, that if he’s able to catch the ball underneath the basket, he’s either scoring it or they’re fouling him. And the way he’s been shooting the ball at the line has turned him into a really good player for us, and gives us another weapon. Also, the fact that he’s rolling to the rim so well opens up everything else for guys on the backside, for driving lanes, for shots. So he really has evolved as a player, and the scary part is that he can still get even better. As he does, that will continue to make us a better team. Then when you look at Dante—I just have so much respect for the guy. It’s been a difficult journey for him so far in the NBA. He comes over to the U.S., and as a 19-year-old, he’s thrust into the starting lineup about halfway through his rookie season. Then as he’s getting ready for his first real full season, he gets injured and has to miss the whole year. So he comes back and because of the injuries we’ve had, he’s basically forced to start again. That’s tough for anybody. But he’s done a tremendous job. He’s improved significantly since his rookie year and he’s figuring out ways that he can score the basketball, how he can impact the game. And the biggest thing is I think he’s learning through it all and he’s getting better. That’s all you can ask from a 21-year-old point guard. The veterans guys we added this offseason have made a huge impact for us. They each just have a presence about them, and that’s something that a lot of us see and we pick up on. It helps us at the end of the game. It starts with the approach they take to the game, just being professional. Boris Diaw, George Hill and Joe Johnson have all had great success in places they’ve been before coming to Utah, and that’s a culture we want to cultivate here. So we look to them a bit. And then the poise those veteran guys have at the end of games or in certain game situations is contagious. Even when George has been out, he’s still contributing by being vocal on the bench, and helping guys out with different things that he sees from the sidelines. He’s quickly become one of our vocal leaders on the team. Even though he hasn’t been out there on the floor as much as he’s wanted to, he still has had an impact on the game and our performance, without a doubt. When George is out, we play a lot through Boris, and he has been really great at facilitating for us. He just makes the game easier for other people. That’s something we had all heard about before he joined the team, but it’s something else when you’re out there experiencing it. We’ve relied on him a lot offensively at times this year, and it’s really helped me out. I’ve gotten a lot of easy layups and shots just playing off of him. He’s a guy that’s easy and fun to play with, and he’s really helped us this year. Joe has been huge for us too, the way he’s been playing offensively. It seems like he’s always able to get us a timely bucket when we need one. The thing that is really good about Joe is that when he gets the ball, you just feel comfortable and confident with him having it. Even when a play breaks down he has this knack for turning nothing into something. It’s usually a big bucket for us, too. Sometimes it’s a big three, or a broken set where he goes one-on-one and gets a big bucket for us or draws a foul. He also has great court vision, so out of those situations, we’ve seen him make some great passes to get somebody else an open look. Those clutch plays have been huge for us. It’s exciting to have success, and we want to keep building on it. We’re playing really well defensively, and that is also giving us a chance to be successful at the end of games, regardless of if we’re knocking down shots over the course of a game or not. There have definitely been games where we go through two- or three-minute lapses and don’t score, or don’t play well offensively, but we’re still in the game because of how we’ve guarded on the other end. The coaches are putting together really good game plans for us, and we’re going out and executing them. Some of these teams that we’ve played, they’re tough to defend. One example is the Thunder. Obviously, they are a team that, when you face them, you really want to try to take away Russell Westbrook as much as you can, which was a hard thing to do. And in other games that we’ve had, there’s been other situations like that, too. One of the things that’s been really key, especially during the season when you can’t really practice as much because it’s just such a grind, is our team film session. You don’t want to wear guys down, and any time you get a few days between games, you have to utilize it. You use those days to recover, first and foremost. That’s mental recovery and physical recovery. You’ve got to try to keep your body fresh. You can visit with the family, hit the reset button, get your treatments, and then be fresh and ready to go. Other than that, you get back to the basics. We look at film, get back to good habits and being the team we were that was winning games. So a lot of practice turns into mental practice, and those sessions are really key for us to learn from our mistakes, and see what other teams did against specific guys to be successful. The film sessions are sometimes long, but definitely worth it. And I think they’ve been one of the reasons why we’ve played so well defensively—and offensively, quite frankly. We still have some work to do as far as closing out games. We’ve had several games where we’ve had double-digit leads and lost them in the fourth quarter, and turned it into a close game. To take the next step, it’s something where we have to turn that 20-point lead into a 25-30-point lead and end the game comfortably. That’s something that we need to get better at. One of the hardest parts about the NBA is doing anything consistently, and being able to do it over an 82-game season. Individually, a lot of teams can be successful over the course of five games or 10 games. You’ll see teams go on these streaks, and then come back down to earth. But it’s super difficult to do that over the course of the season. So one thing you have to realize is that there’s going to be ups and downs in the season. You just want to have the ups be a lot longer than the downs. Great read, Gordon. Thank you for showing fans the mind of a star as he goes through the season. Despite what fair weather fans like to say, the real Jazz Nation loves you and enjoys every game we get to watch you play. I wish you and your family the best. I’ve watched you each year Gordon. I can tell a big difference in your play in the last two years. I felt like you took a big step last year. This year your shot, both free throw line and from 3, has been falling better and it makes you an All-star IMO. Keep up the work. P.S. 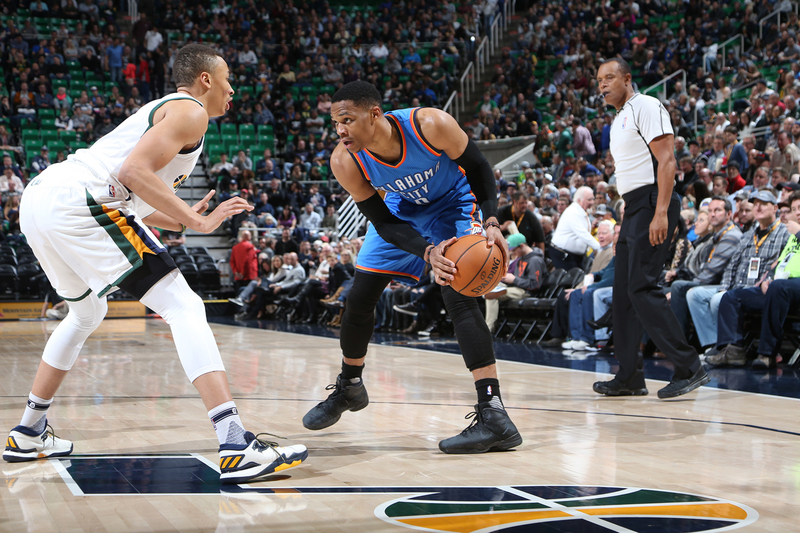 We would love to have you stay here in Utah for your next contract. I have really enjoyed following your career. Your Butler team reminded me of the intelligent, focused team Quin and I played on back in high school.. Having grown up with Quin, won state championships with him and considering him one of my best and closest friends, I am curious…..what is your favorite part about playing for him? What about him as a coach do you appreciate or respect most?? Appreciate the player insight, Gordo. It’s been a complete satisfaction watching you grow from your rookie season to now. I love your perspective, Gordon! I sure hope you love it here and do whatever you can to resign with the Jazz when decision time comes! We love you and your loyalty!!! Great article as always. Its nice to hear the stuff outside of the athlete mode. You guys are humanslike us the fans and we sometimes take it to seriously (the downs). 82 games is a really long season, and anything can happen. Keep the good work, and patience will bring the team to success. Go Jazz ! The team progress has been awesome year over year and you’ve been a huge part of that. We fans are just crossing our fingers that you decide to stick with the Jazz for the even longer haul. Regardless, it’s been awesome to see such a great season so far and I look forward to the rest of this promising season. Thanks for the update, love hearing from you. It’s so fun seeing pictures on-oline of you & your family loving Utah. I really wish I could invite you & your family to dinner. My family calls me the obsessed Jazz Fan. We’ve watched you since you came to Utah before, when you hit that winning shot at Butler. Thanks for your dedication! I know the fans appreciate it. How do you find out where your going to be for autographs, you don’t stop as often as you used to when you go off the court when you are done warming up for a game. Does it really feel AWESOME every time you go on the court & your name is announced, I think it would never get old? Just wanted to say your an amazing player, thanks for all you do!! Gordon, you are one of kind. We hope to keep you here. You fit right in here in Utah. As a fan, I appreciate the way carry yourself and how you are a team first type of guy. We are very proud of “our team” this year. Love the truly personal touch G, life always has to be about more than basketball. You cannot always win on the court, but you always win when you go home to a great family. Utah Jazz this season is really doing my best. But in the end you need to go playoff. And I hope that you can climb up to the NBA file in the near future. From Utah Jazz fans in Japan. Add me on League! Carry me to nexus like you carry the jazz! Thank you for the insight. The fans appreciate you taking time to write and give us an inside look at the season this far. Glad you are having such a great year and that your hard work is paying off. Here’s hoping for good health all around! Hey, Gordon, we so proud of y’all too in China. we are a great team in the west, in the league. we will get good grade this season! We love you Gordon and hope/pray you spend you life here in a Jazz jersey. You have a beautiful family and I hope they are loving living here. We love having them here. We are so proud of the team(we are always proud of the team). You seem like such an amazing Dad and husband. We are playoff bound this year! Let’s do it! TakeNote!!! Thank you Gordon for spending time to write this blog. It says alot about your character, and how you value us fans by sharing your thoughts and perspective. How do you find time to write? 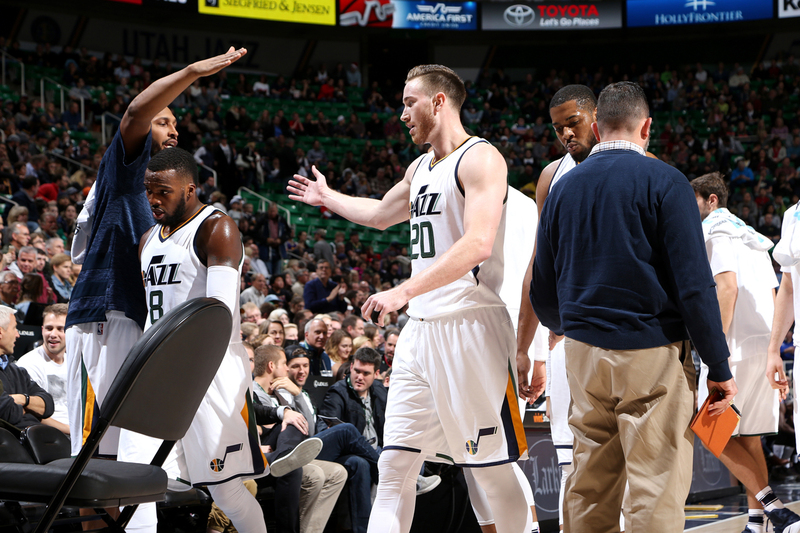 Just want to say that this Jazz team is quite special. It took Stockton and Malone 10 years or more to get to the Finals. With the team’s depth and talent, it is not far-fetched that you guys can make it earlier. After all these years, all the right pieces are finally in place. Thanks for tagging us along in this incredible journey of yours. 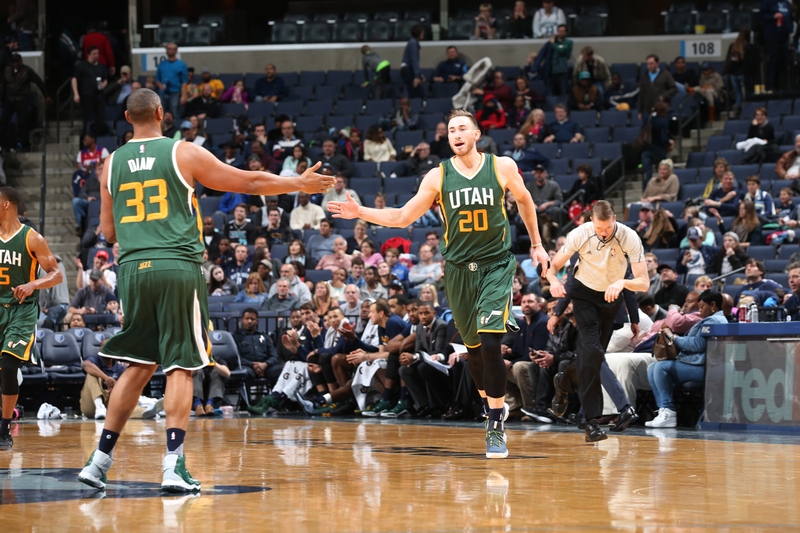 Great read, being a Aussie jazz fan for 25 years it’s a special time to watch you guy’s. Your game is rounding out nicely too #20. You have an ease on the court this year that wasn’t there before. The Jazz are a homegrown type of team and being able to compete with the high dollar superstar ensembles of the league is awesome to watch. Viva la renaissance. Thanks Gordon. Trust me, your hard work doesn’t go unnoticed or unappreciated. Whenever the Jazz are playing well, I feel really happy and excited. So thank you for working so hard and being a great leader for our team! I truly hope you stay in Utah next year so we can continue this journey and get closer to the ultimate goal. We’ve got your back! Love the way the team is playing! You guys never quit, it’s so exciting! Thrilled that you share your family with us. It’s so fun to see your little girls getting bigger and to see how happy you all are. You are playing great; actually I think the whole team is great from the newer guys to the veterans. We need those veterans – they’ve been a great addition to the team. Keep it going! Love reading the blog, I appreciate the great example you are to fans and young players. Great family man, hard worker, great ball player and a kind human. Hats off. It’s good to hear straight from a player. I’ve admired your game – its consistent improvement and general giftedness – from a distance. This year, the buzz around the team brought me and my kids to the arena for a few games. You have not disappointed. Keep up the hard work! It feels good to cheer for a group uncovering their potential. At least from my perspective, the potential seems boundless. Love it Gordon!! I live in brownsburg Indiana and it’s so cool to think you grew up here too! Much love and respect man keep grinding!! keep doing what you do, GH! Go Utah! Doing great! This is honestly the best I’ve seen this team since the Stockton and Malone days. The amount of potential and depth and the effort you guys are putting in really impresses us Jazz fans. Really love what the Jazz & you have been doing this season. Next stop All Star Game and then NBA Playoff! Thank you for the mid-year State of the Team. 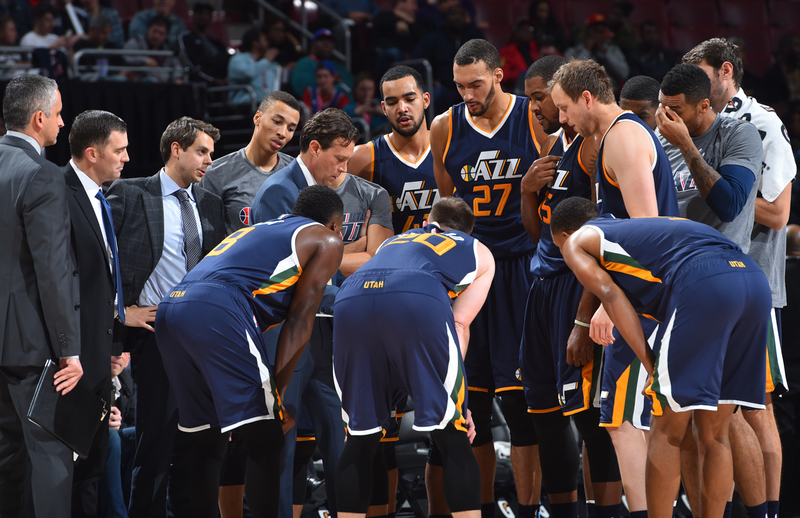 Your perspective of the season to date and an update on your darling family is really a gift to Jazz nation. Thank you for sharing! I could for a minute, please address the ups and downs. I hear things, I know you hear things, but of course players have ups and downs….Michael Jordan is the only near perfect player , having the flu but still beating us in the Championship! The thing I have noticed the most about you, on any given day, I feel you are present and contribute 100%. Last year, with all the injuries, I could sense sometimes you were so tired but still performed and led the team! On any given day, you work hard. We saw in you, at the Sweet 16, your potential. People that criticize couldn’t do half of the physical and mental effort you put in. I write them off as people that feed off of negativity, easily dismissable. They are fair weather fans that don’t really understand the game. The real fans are standing behind you. We also want you to stay. You are part of a MAJOR building block the organization is using to mold a championship team. Thank you for your hard work, and for caring enough to share your thoughts. We WILL be the playoffs this year for the first time in a long time! How exciting is that? Even better the Jazz are all healthy!! Be kind to yourself….Keep livin’ the dream…. Thank you for sharing! If I could for a minute, please address the ups and downs. I hear things, I know you hear things, but of course players have ups and downs….Michael Jordan is the only near perfect player , having the flu but still beating us in the Championship! The thing I have noticed the most about you, on any given day, I feel you are present and contribute 100%. Last year, with all the injuries, I could sense sometimes you were so tired but still performed and led the team! On any given day, you work hard. We saw in you, at the Sweet 16, your potential. People that criticize couldn’t do half of the physical and mental effort you put in. I write them off as people that feed off of negativity, easily dismissable. They are fair weather fans that don’t really understand the game. The real fans are standing behind you. We also want you to stay. You are part of a MAJOR building block the organization is using to mold a championship team. Thank you for your hard work, and for caring enough to share your thoughts. We WILL be the playoffs this year for the first time in a long time! How exciting is that? Even better the Jazz are all healthy!! Be kind to yourself….Keep livin’ the dream…. Wow, pretty blown away from this unconventional, well written piece! Usually we just get a “things are going in the right direction” and 4 hashes from most players. Jazz nation has really loved watching you blossom into a legit Allstar. You’re the heart and soul of this team. My daughter loves to go to Jazz games with me and you are her favorite player, Mr. Hayward. I appreciate that you are a family man and present yourself respectfully. It means a lot to have positive role models for my kids to look up to. Gordon, I am thrilled to read this post. So appreciate your positive attitude about your team. Thank you!!! My husband, myself and our son, who is junior in high school have tickets to your game on March 13th. We are thrilled to be able to watch the Jazz play live. We just moved our son from a private school to a public school because he wants to play at a higher level with future hope of playing college ball. It’s been a challenging transition but great for him to play at a higher level. In your opinion what should he be doing when the season ends in a couple weeks to prep for next season.